I can’t help be see some wonderful similarities between this painting and the one you did for my family. The original would look great next to the portrait. Would you happen to know who has this original and if it might be for sale? I have done many paintings for Disney Fine Art, a division of Disney, this is one a my “Grand Entrance” series which I have done for just about every other Disney character so far. 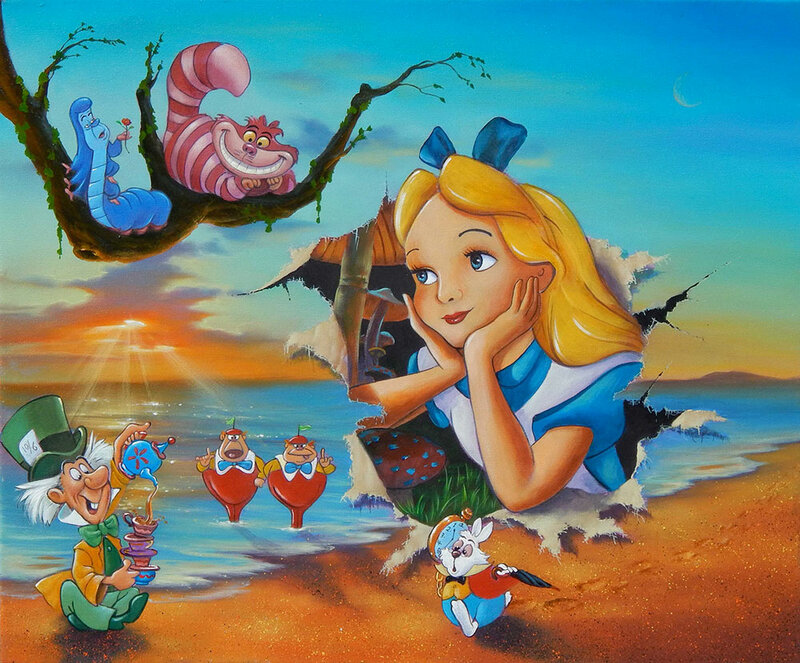 I am privileged to be given the rights to paint the characters and many are published as limited edition prints by Collectors Editions for Disney.